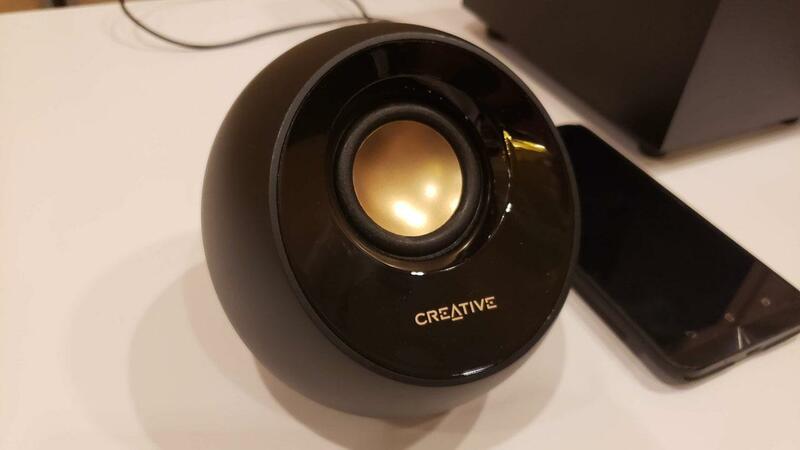 Creative has been in the sound business for a long time now and at their booth, I experienced probably the coolest tech for my 2019 visit. 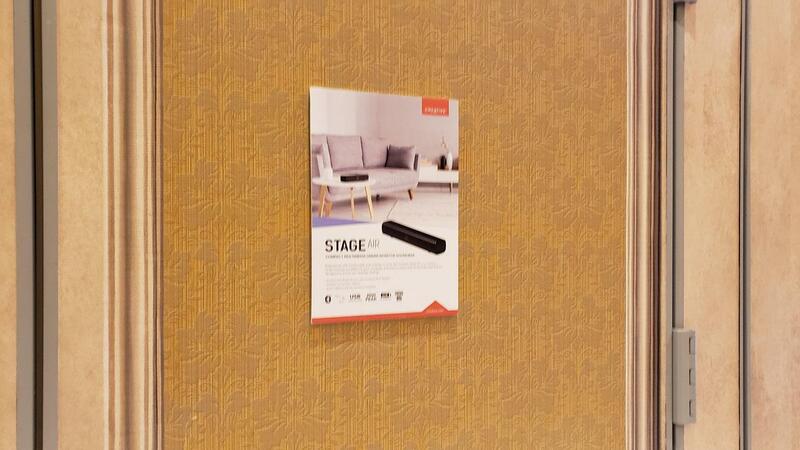 But before that, let's start with a few of their products they were showcasing. 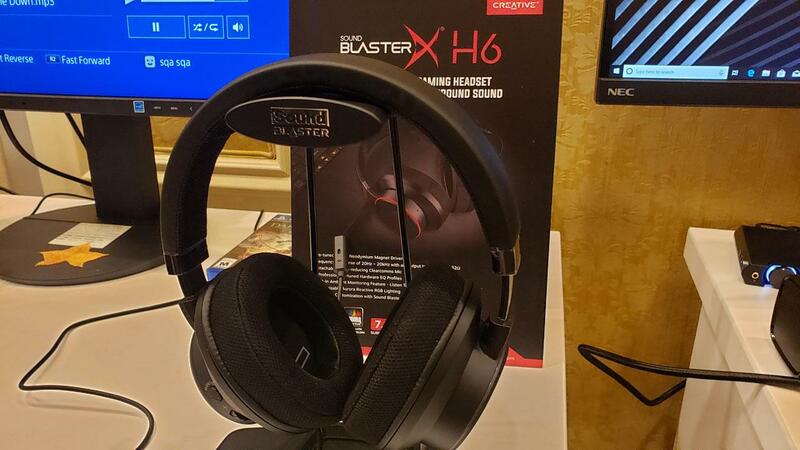 If you need a headset to go with the G6 or just in general, Creative has the Sound BlasterX H6. 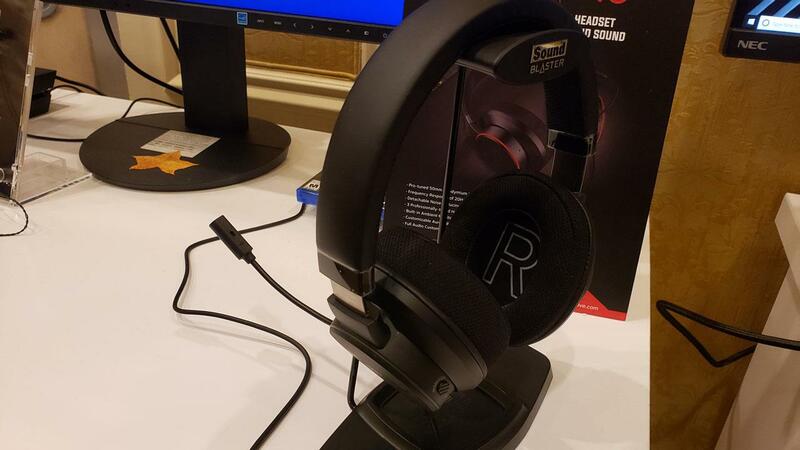 With 50mm Neodymium drivers and a detachable mic, the H6 felt pretty comfortable on the head. You also get a choice of switching out the ear cups with a mesh or a leatherette, whatever your preference is. 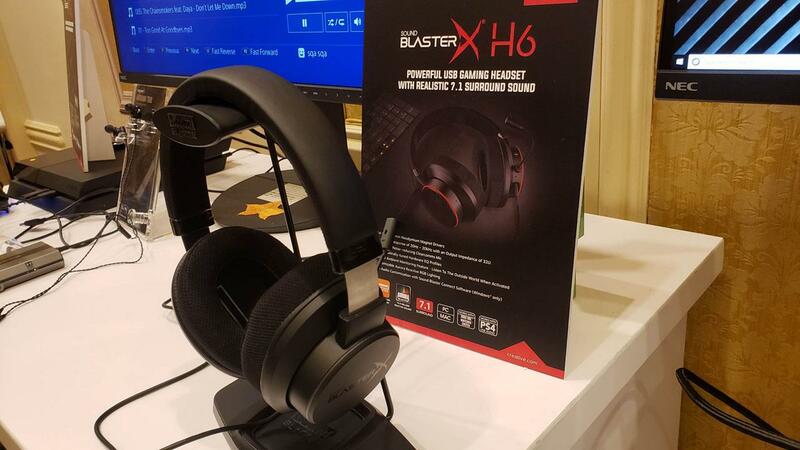 For $79.99, the H6 seems like a great price for a gaming headset of this caliber. 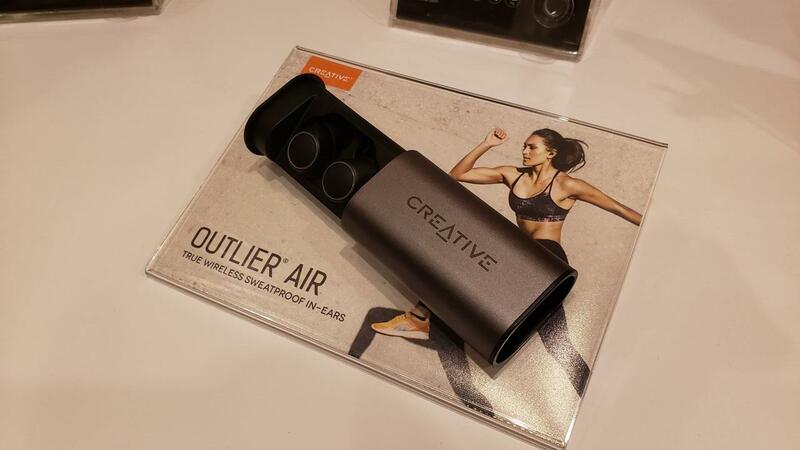 Creative is going into the AirPods arena with their version called the Outlier Air. 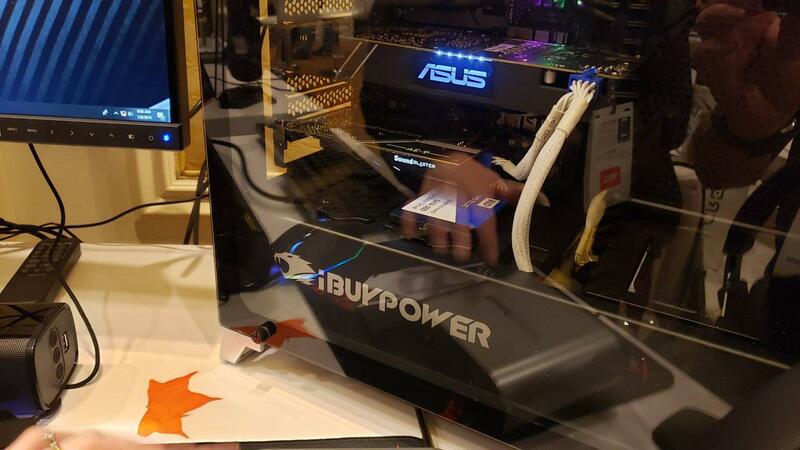 These puppies will run for 10 hours and has a case that will recharge it two more times for a total of 30 hours of usage. 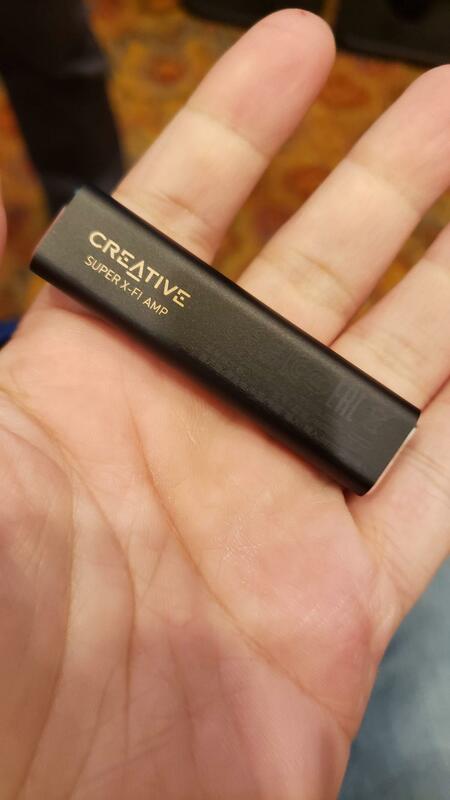 That's pretty good battery life for buds the of this size. You're also getting IPX5 certification for sweat proof protection. 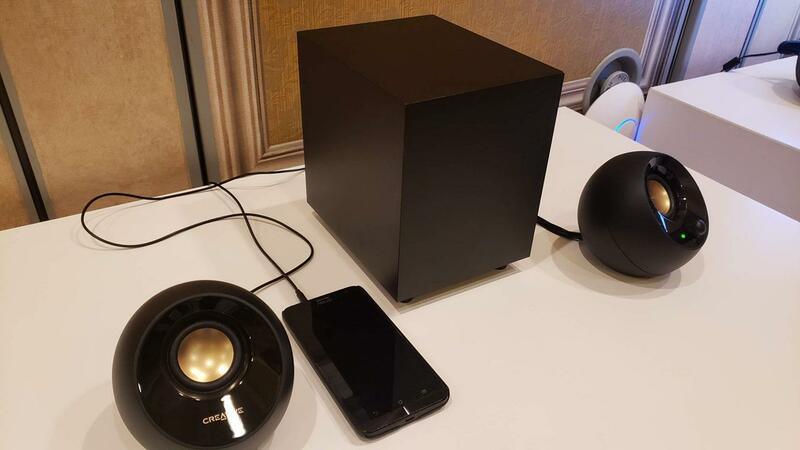 It'll connect to your audio unit of choice via Bluetooth 5.0 and it also features AptX for better sound. As I was looking for some new ear buds in this style, the Outlier Air checks off a lot of boxes I was looking for in a product. 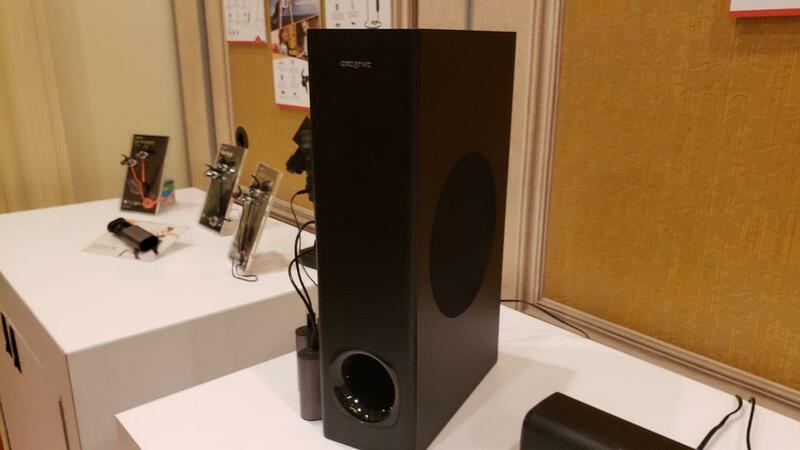 Look for this to be out in March for $79.99. 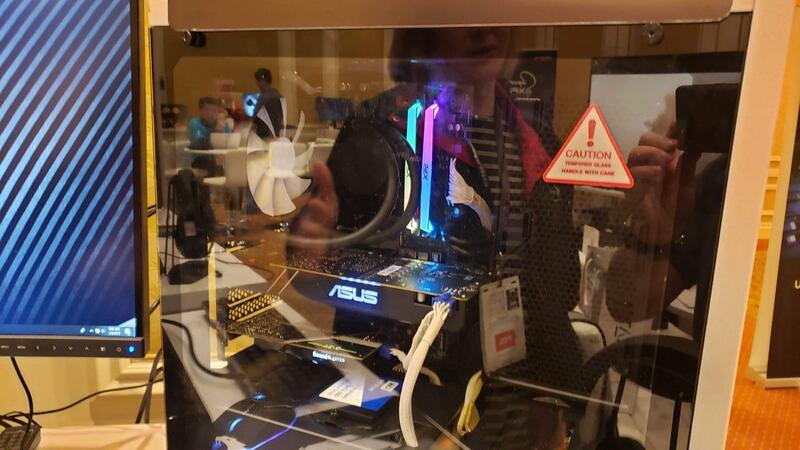 But the thing I came for, the thing that really blew me away was the Super X-Fi. 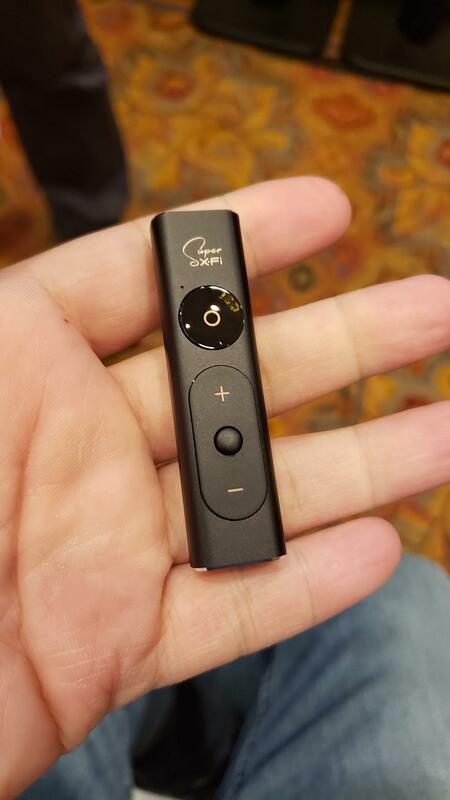 This little dongle combined with a phone app just delivered an incredible audio experience. 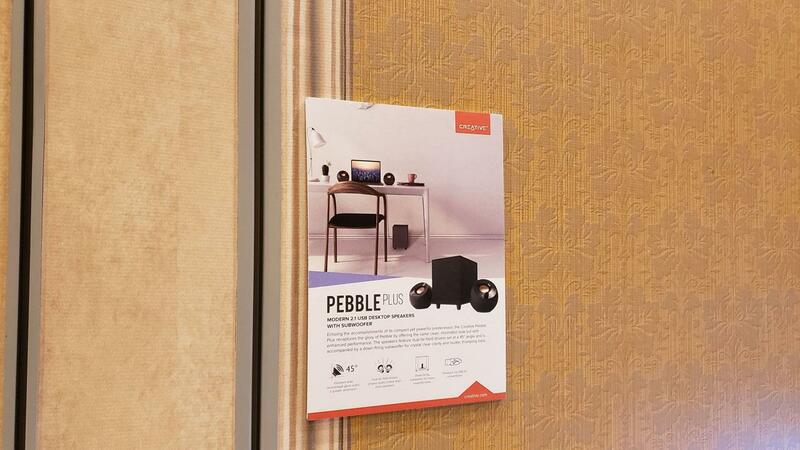 For those that use mostly headphones and don't listen to external speakers, you'll mostly get an enclosed experience. What I mean is that sound will emanate close to your ear and that's well, because the drivers are sitting right next to it. 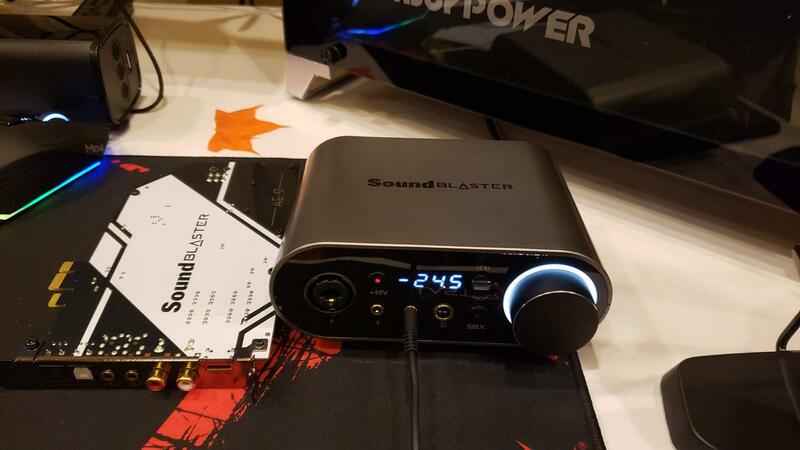 What Creative has done with this magical piece of tech is to simulate a more natural listening environment complete with positional audio and improved experience that even with my bad ears, was able to tell a huge difference when using it. First of all, the app will take pictures of your ear and head. Research has shown the shape of your ears and head will determine how the sound reaches to you and how you perceive it. With this mapping, the app will create a profile that optimizes your listening and this is custom to every person. So for the demo, I sat in a studio like room and watched a few short clips. 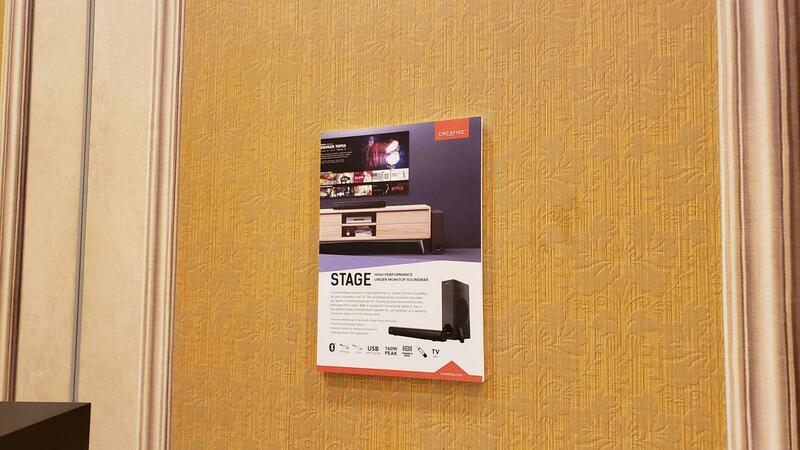 First up was a few movies that played with 7.1 surround sound. 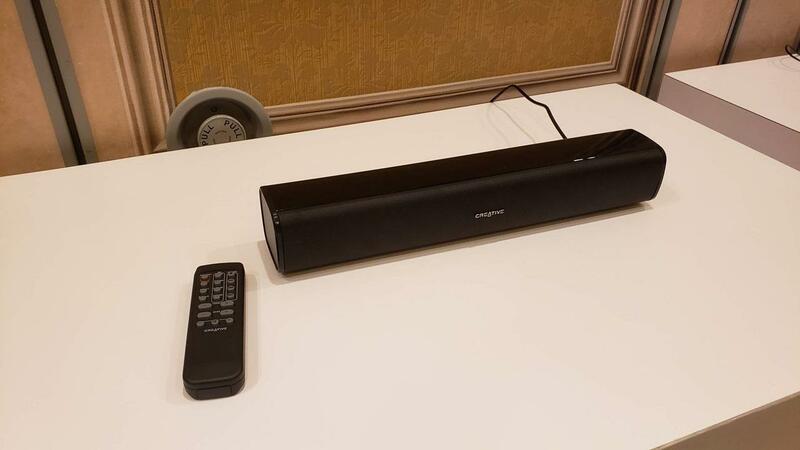 Listening with the speaker setup, it sounded awesome. 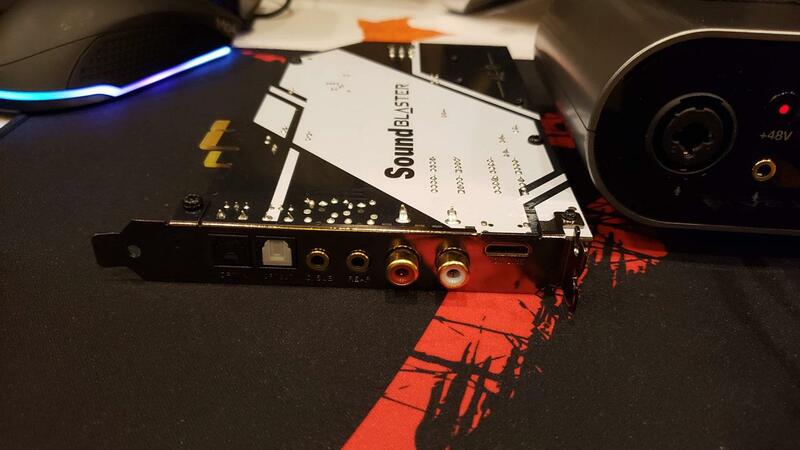 But then you put on a Super X-Fi certified headset and plug the dongle in, you'll get the same or better experience than the high end speaker setup. I had a hard time in the past telling where sound came from other than left and right and center with headphones. Not with the Super X-Fi. I could distinctly hear some sounds coming from behind, above, and below me. It was truly remarkable. 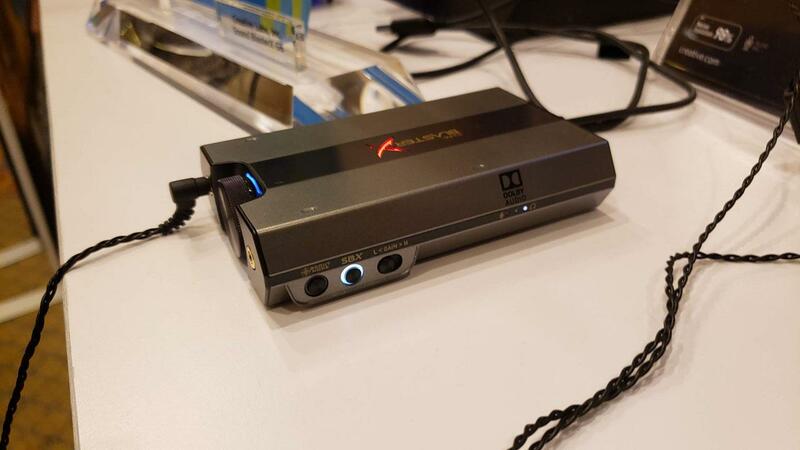 In one demo, I proceeded to turn on and off the dongle and instantly could tell how much better the sound was coming from the Super X-Fi. In fact, I thought the sound was coming from the speakers in the room, but when I took off my headset, it was silent. 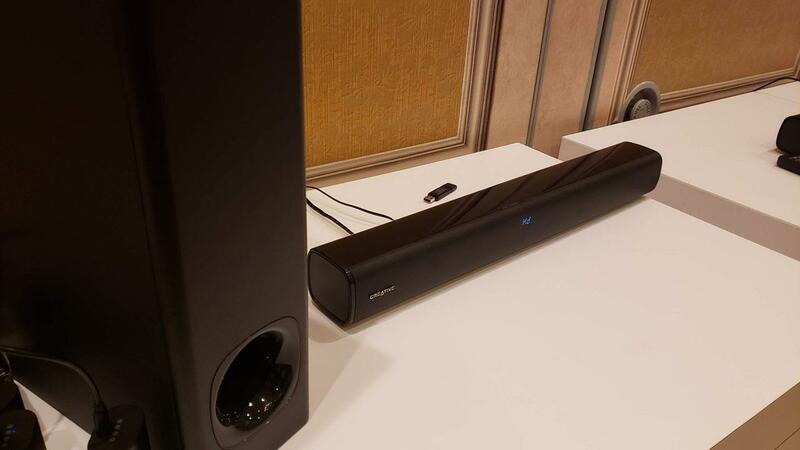 It truly is that amazing how well the setup mimics a room with speakers. 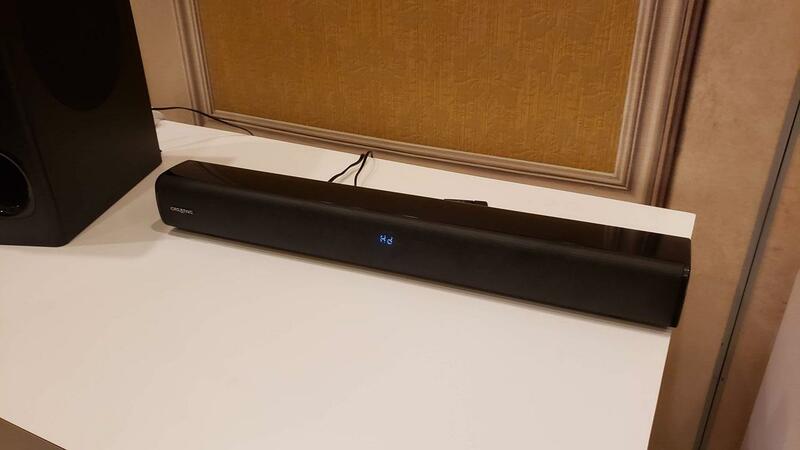 Not only does it make 7.1 sound, well, sound great. 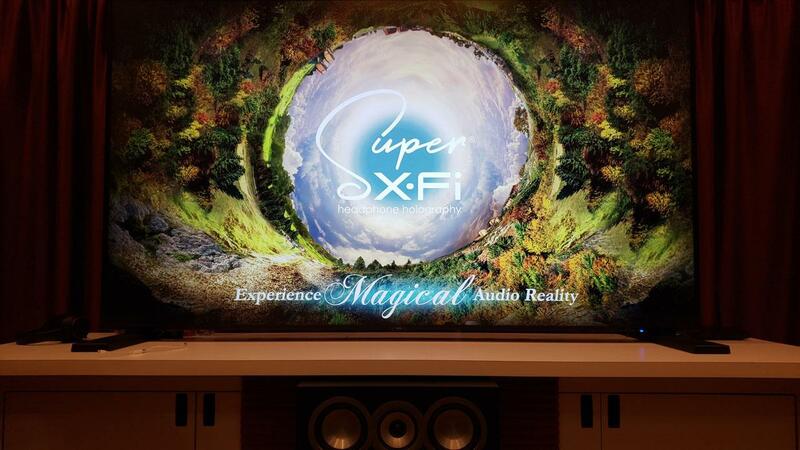 But even on YouTube stereo videos and mono recordings Super X-Fi performed incredibly. Watching a YouTube video of Shadow of the Tomb Raider, I was floored by how much better sounding, more dynamic, more intense it was through the Super X-Fi. And then an old mono recording played that when you had the Super X-Fi on, it sounded like you were in the room with the singer. Turning it off just reduced the song to a simple sounding performance. 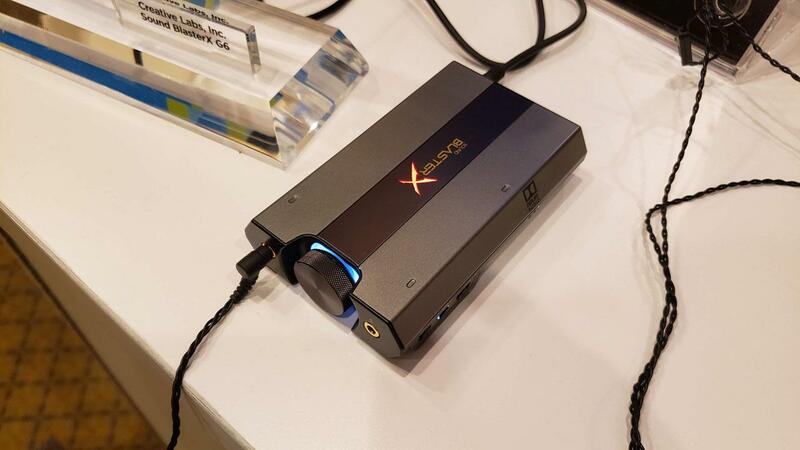 I have to be honest, I don't think I can go back to listening to music or watching video on my phone without using the Super X-Fi. It's that good. 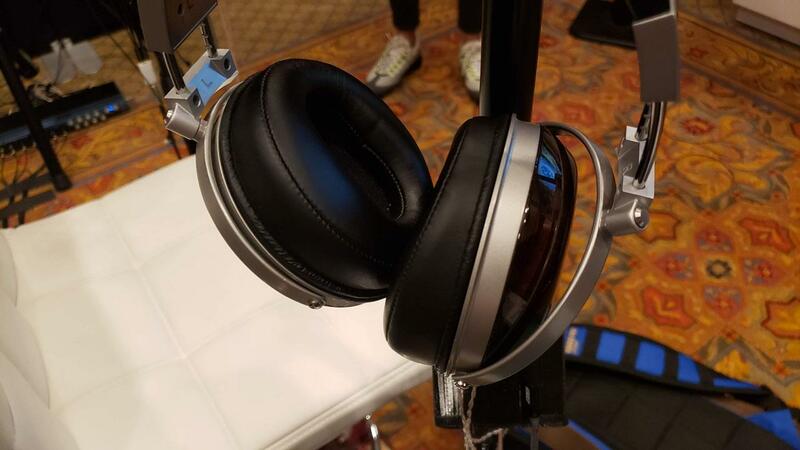 There's a list of headphones that Creative has tested that will let you use the Super X-Fi to its optimum potential, but you can use it with others. You just might not get the best experience. 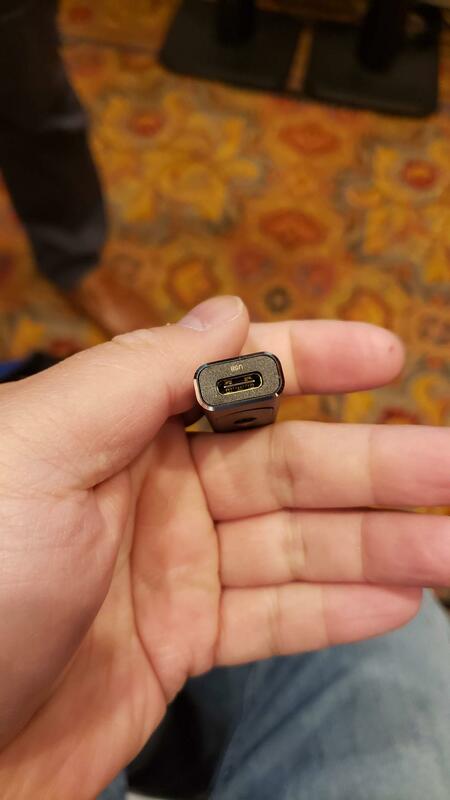 The dongle will work out of the box with an Android phone, but you'll need a friend with an Android phone to do the initial setup if you have an iPhone. 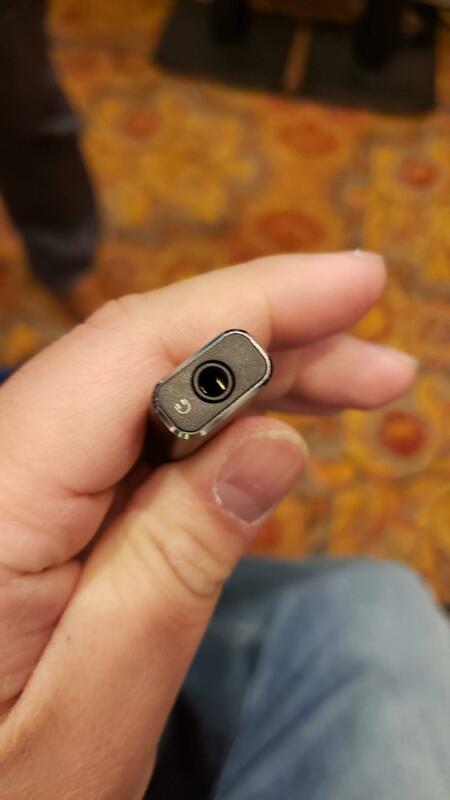 I really want this built into some headphones so I don't have to use the dongle, but for now I'll live with plugging this in to my phone. $150 is what this costs and you can order one now. 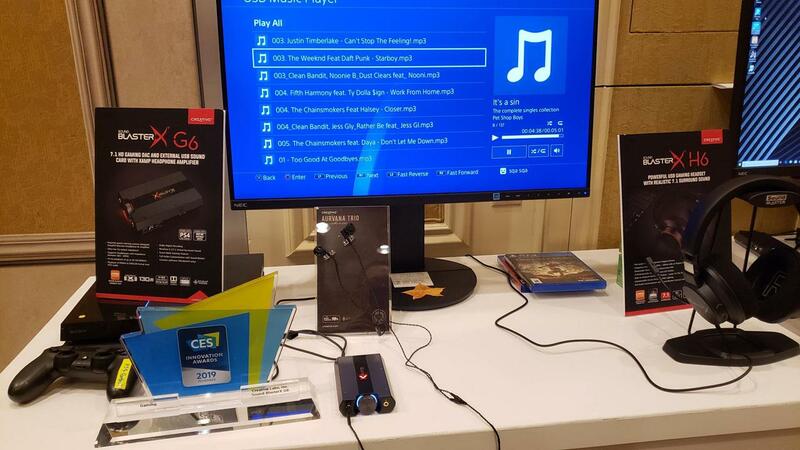 And if you love music and movies from your phone, I highly recommend one along with a certified headset to enjoy what truly is an amazing level of sound that had me walking away saying that was one of my products of the show.